SERVING NORTH DALLAS FOR OVER 20 YEARS! 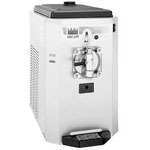 * Easy payment - Cash, Check or Credit Card. * We put the customer first. * Delivery and pickup to fit your schedule. * We are dependable and reliable. * Clean, safe bounce houses and slides. * We sanitize every unit every time. * Wide variety of bounce houses, slides and waterslides. 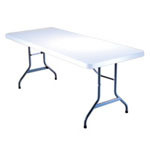 * Complimentary equipment and party supplies to fit all your rental needs. 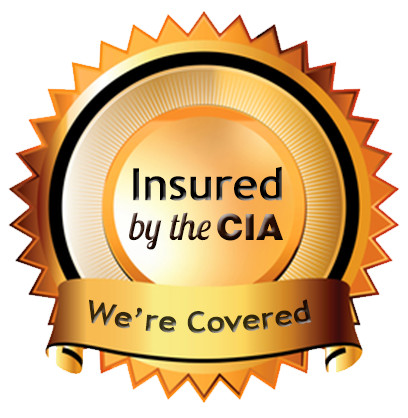 As required by the Texas Department of Insurance (TDI), it is required that each inflatable be inspected annually and must have a current "Certificate of Inspection". Additionally, TDI requires that every rental company carry a minimum of $1,000,000 liability coverage and be able to provide proof of insurance. 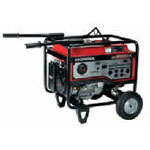 If the company you are renting from cannot provide this, they are operating illegally and putting you at risk. All of our bounce inflatables are constructed of heavy duty, commercial grade vinyl material - Not the cheap nylon you get from the Retail stores. Jump For Joy is a Frisco Texas bounce house and Party supply rental company. We proudly serve Frisco, Plano, The Colony, Allen, Richardson, Carrollton, McKinney, Lewisville, Addison, Aubrey, Prosper, Celina, Little Elm and surrounding North Dallas area of Texas. We value our customers and we are dedicated to providing quality customer service and high quality bounce house and party supply rental equipment. We pride ourselves in being the very best Texas inflatable rental company by providing top of the line bounce houses, dry slides and waterslides that are cleaned and sanitized before each use. 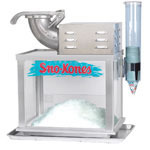 Along with inflatables, we also carry a full line of party supply equipment that includes Tables and chairs, Generators, Popcorn Machines, Snow Cone Machines, Hot Dog Machines, Margarita Machines and much more. 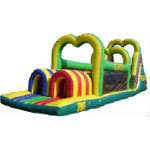 There are a lot of Texas moonwalk rental companies to choose from and we are here to earn your bounce house and party supply rental business. 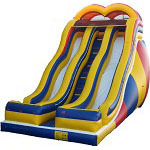 We have several inflatable waterslide rental, inflatable bounce house rental and inflatable jumping castle rentals to choose from. 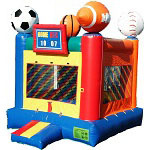 We would like to show you that we are the best bounce house and party supply rental company in Texas. Our inflatable waterslides rental are the best design for the North Texas heat. The no mess design will save your yard. 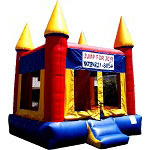 Our inflatable bounce house rental and inflatable jumping castle rentals are delivered on time and cleaned on site. So if you are looking for the best Texas moonwalk rental, you found it.... Just check out the entire website for the best inflatable waterslide, bounce house or jumping castle rentals in Texas.